Cows will keep being culled for at least a few more days as the Government remains committed to eradicating the M. Bovis disease. Prime Minister Jacinda Ardern said today the crisis had not yet reached the point where the Government response would change from eradication to containment. "We're not there yet," Ardern said. "That's why we're getting the best advice from around the world that we can. "That's why we're working with industry to make some of those long-term decisions." The Ministry for Primary Industries will decide within seven days what is next steps will be, after getting further technical advice. The disease has been confirmed at 38 farms and there could be up to 70 farms infected in total. Tens of thousands of infected cattle have already been culled, and will continue to be as long as the response is focused on eradication. 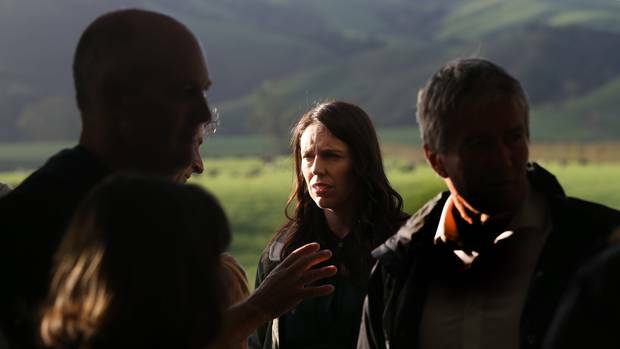 Ardern, who spoke to farmers in the Waikato today, said one of the key problems in managing M. Bovis was the long and complicated testing process. Each test took 20 days and cows could sometimes produce one or two negative results before testing positive. The testing complications were "the most significant issue we're facing", Ardern said. The disease was first detected in the South Island nearly a year ago but its spread has accelerated in the last month. It was detected in the dairy-rich Waikato region for the first time last week. Ardern said it would not be helpful to disclose the name of the farm, saying if farmers managed their stock movements then they did not need to fear infection. The Government is considering a new biosecurity fund to cover the costs of outbreaks, which farmers would have to contribute to. Asked about the fairness of this proposal, Ardern said farmers "picked up the tab" for incursions regardless, and this would allow the Government get "in front" of future threats.